All-season villa - Paphos Cyprus. Spacious, luxurious, private, lovely and peaceful, 4 bedroom villa at edge of traditional village of Akourdaleia. Heated pool, gardens, vineyard, sea and mountain views, 10 mins drive to Polis and the beach, 20 mins drive to Coral Bay. Absolute privacy in the large luscious gardens with open aspect to magnificent views all round. This villa offers low occupancy discount for 4 or fewer people staying (except for August). Click on "Price & Availability" below the villa pictures for an instant quote. Get away from it all - This luxury holiday villa in Cyprus, on the edge of a vineyard at the outskirts of Pano Akourdaleia, Paphos, offers the opportunity to get away from it all, in a tranquil environment of outstanding natural beauty where time really seems to stand still. The holiday villa itself is designed in its architecture and furnishings to sit comfortably and in harmony with its rustic/rural surroundings, while providing the guests with all the facilities, luxury and exclusivity for a private family (or group) holiday experience, that easily surpasses in value anything that top hotels can offer. Relax, enjoy and rejuvenate amongst family and friends. The villa is intended to be a self-contained getaway for tranquil relaxation and rejuvenation but at the same time it provides a comfortable and convenient base for exploration and adventure at your own pace and wish. ** High standard rustic italian kitchen with all facilities (incl. washing machine, dishwasher etc) and breakfast table. ** 4 spacious bedrooms ( 3 upstairs and 1 on the ground floor) (with a king-size bed in the master bedroom and king-size and single bed in the second bedroom, twin beds in the third bedroom uspstairs, and double bed with a single in the downstairs bedroom ). ** All bedrooms have access to balconies or patios and have massive built in wardrobes. ** All bedroom windows and patio doors have shutters to stop the bright light in those early summer mornings. ** 3 bathrooms (of which two are en suite to the master and the ground floor bedroom, one is the house bathroom) + 1 poolside shower-room and WC. The bathrooms have both bath and shower facilities. ** Safe deposit box is available. ** Central heating and double glazing throughout. ** Large landscaped gardens with flowers, fruit trees, other trees, herbs and aromatic plants plus a small vineyard to the side. ** A 10m x 5m HEATED swimming pool, with bathroom and shower facilities, 10 reclining beds and a number of umbrellas.Pool heating is provided as an optional extra and advanced notice is required prior to your arrival. ** A full-size professional football table and a high quality table tennis, under their own "games" shaded pergola, to keep the young ones occupied and you trim after all those barbeques! With all round captivating panoramic views of the imposing forested Troodos mountains and the summit of the island to the east, the rolling vineyards towards Kathikas to the south, the wild unspoilt gorges and heather hills to the west (leading to the Akamas National Park) - over which the fragrant gentle Zephyrus blows, and the splendid fertile Polis Khrysochou valley with the turquoise sea bay to the north, you really have found the place to stay. Villa Zephyrus is in the resort of Akourdaleia within the PAPHOS-DISTRICT of Cyprus. Please click on the links to see more useful information on the resort the District and the Country (including contacts for local activities and places to eat, places to shop etc) . To get up-to-date comprehensive travel advice for any destination, including Cyprus, the Foreign & Commonwealth Office (FCO) advice (available here) covers vital issues about travelling abroad, including passports, visas, health, safety and security and more. Please continue to check this link for up-to-date information until you travel. To rent villa Zephyrus, first click on the red button "Price & Availability" for an instant online rental price quotation for your dates. At the end of the quote you will be given the option to put a NO obligation hold on this Away-From-It-All, Luxury, Romantic-getaway, Rural, Secluded 4 bedroomed holiday home in Akourdaleia, Cyprus. The owner could not have been more helpful, we requested a late departure as we have a 19 month Granddaughter and we were catching a late flight, she responded back to me very quickly and allowed us to stay until 4pm free of charge. As always villa stunning and perfect location, love the new beds and dining furniture, an improvement on what we had last time. We spent 2 weeks at Zephyrus and loved every minute of it. It was so peaceful. The lizards were great. I named one of the larger ones Lucky, as I rescued it from the bottom of the pool one day. The villa has everything you need and the water cooler was a welcome addition. We enjoyed the privacy, but also knew who to contact should we have any problems. We had some fun the temporary road closures, but this is Cyprus after all :) We liked the villa so much, we have already booked again for next year. We would definitely recommend this villa if you are looking for a relaxing holiday away from it all. Most liked: Waking up to the breath-taking panoramic view from the villa across the valley and to the hills was a pleasure for us each and every day. The silence wants to make you hold your breath and just appreciate the birdsong. We've been twice, once with family and once as a couple, and are returning again with family in a few months. An absolute find. Least liked: There is not much to dislike, the layout is fine the pool is fantastic and the facilities are everything you would need, I am struggling to pick a fault. Most liked: The villa is, without doubt, absolutely 1st class! A beautiful secluded family villa with every amenity. A short drive away is the beautiful village of Kathikas ,which has several 1st class restaurants catering for everybody's taste,all realistically priced (You must try the Farmyard Restaurant). A very comfortable villa with an amazing level of privacy. The silence was wonderful. All we heard was the birds singing. And the view of the hillside and the sea was so peaceful. A marvellous place to recover from doing too much. The kitchen was well fitted out with everything you could want,the bed was very comfortable, the shower was powerful and hot and the lighting throughout was excellent. We loved it and are already talking about returning next year. We had a fabulous time. The villa was perfect, clean and lived up to expectations, we would certainly use you again. We have now arrived back from Cyprus having had a really lovely holiday. Wall to wall sunshine there of course - shame the same cannot be said of this country! We loved the situation of the house in a small village but within easy reach of Kathikas Polis and Paphos and to the major roads around the island. The house was great and for us was well placed - in the slightly less humid hills and away from the frenetic activity at some of the coastal areas! It was a really nice house and pool and was well looked after too. Loved the array of lizards and other wildlife in the beautiful garden - we named all the lizards and enjoyed their company! Upon arrival at Villa Zephyrus my twenty eight year old daughter skipped with sheer delight around the building! Something I have not seen her do since she was a girl. We felt like film stars on holiday just because of the setting. So beautiful, a true get away from reality. The out door area is lovingly maintained by the caretakers as is the pool and we are so glad we had it heated as the grand children played in it day and night. We booked this villa because it was just ten minutes drive from the Ayii Anargryi where our daughter was getting married. Eight of us stayed at the villa (six adults and two children) and we at no time felt on top of each other. The villla offers ample space to find solitude in; it also offers wonderful sunrises on one side and beautiful sunsets on the other. The wild life is enchanting and we all fell in love with the lizards which scurry around the grounds. The villa felt secluded but not isolated and very safe. I would recommend the location for wedding parties attending services at the Ayii Anargryi (a stunning venue). A car is essential if you want to travel out and for provisions but the welcome hamper was very comprehensive and welcome; covering everything we required in the short term (Our thanks). The villa is obviously loved by the caretakers and we fell in love with it too. We intend to return to Cyprus as a family in the future and I am sure Villa Zephyrus will be on the agenda. We enjoyed sharing time here as a family. We left the villa with regret that we could not stay on and the island relaxed, tanned and feeling spiritually rejuvenated. The Cypriot sunshine was wonderful but the environment we stayed in magical. Like the way we weren't pestered during our stay, but felt if we needed help it was all there. Most liked: If you are looking for somewhere that's quiet, private and spacious then this villa is perfect. It has everything you could wish for and more, with fantastic views across the valley, it really is a "Getaway" villa. Great quiet location but near enough to local facilities and good restaurants. Villa had everything we needed and was in a beautiful and peaceful location. Breathtaking views of surrounding countryside. Liked the ease of visiting the local villages. The villa was really well equipped and all our needs/requirements were met. The local agents supplied us with an Easter gift of home made traditional bread which we all enjoyed. Wonderful location and views - totally private but not isolated. Villa very spacious and well equipped (especially the kitchen which seemed to have everything if you looked hard enough in the cupboards!). Very generous welcome pack. Lovely lounge area with views to the pool and beyond. Lots of choice of indoor and outdoor dining areas, with plenty shade available. Lovely big warm pool (we paid for pool heating and it was worth the extra). We loved it and booked immediately for the same week next year! If you are looking for a quiet remote holiday this is the spot for you. A short walk will get you a traditional morning coffee in the local herb garden or a short drive to Kathikas will see you right for a cold beer, great food and shopping. The villa is in a wonderful secluded location with amazing views and lots of space. We had a fantastic week most of which was spent in the lovely pool or by the BBQ. We loved the peace and quiet and enjoyed all the games including the table tennis and table football. Many thanks. Great location,Unlike most rental villas this villa had a very comfortable bed,which to us is very important. This was the 4th time we have stayed at Villa Zephyrus so the pleasant surprise noted below refers to the new decor, TV and the great fun we had playing table tennis. The "As expected" for the region refers to how well we now know (And love)the area. Most liked: The ambience and space in the Villa. In spite of having clouds and thunderstorms for the first two days of our stay, we were very comfortable and relaxed to stay in until the weather improved. This Villa was all about the pool, the size is bigger than usual and although we paid for pool heating it was worth every penny. It meant the pool was used every day including late at night. Much attention has been paid to the grounds and pool area which was excellent; it made the holiday. There are numerous choices of dining areas and the house lay-out works well. 3rd time we have stayed at Villa Zephyrus and unlikely to be the last, work and finances permitting. Least liked: Leaving at the end of our holiday.We could have stayed for a lot longer! Most liked: This was perfect for us.Peaceful, relaxing and a very clean and comfortable villa with excellent facilities. The villa offers easy access to coastal regions on both the west and the north of the island. The mountain location means that evening temperatures are very pleasant after the heat of the day. This is a fantastic villa, there is everthing you need, the beds were comfy, the pool was great, total peace and quiet. We stayed in villa Zephyrus and already can not wait to go back. This luxury villa is even better than in the pictures. It is spacious, well equipped and comfortable. It is a dream villa to stay in with a wonderful pool and an outside BBQ area. I can not praise the villa and Getaway enough - this made our holiday amazing and I would definitly recommend for families. Thank you to Getaway for making our holiday wonderful. The welcome pack provided was much appreciated as we did not get to the villa until 2am and could not find an open shop for supplies. A fantastic villa with picturesque views - you will need to hire a car as you would expect due to the location of the villa. Everything was perfect!!! Great location and views, superb drive down the valley towards Polis. Lovely gesture of a homemade easter gift and bags of oranges from the owners/caretakers. Pool was lovely and warm. Locals very friendly like all cypriots - lovely village & spectacular views. The outdoor space was excellent with plenty of beds and seating, good shade and excellent outdoor cooking and dining areas - hard to better. Also loved the view form the ensuite shower - showering at home will never be as good! Excellent service from enquiry to travelling, really impressed with the admin side of things. 4 of us set of for a relaxing 2 weeks in a villa with everything you could wish for home from home.Zephyrus is a great place to just recharge you batteries its so peaceful you don't hear anything but the birds and crickets, We would like to recommend the farmhouse restaurant in Kathikis. Villa Zephyrus was in a very pleasent location located closer than we realised to the airport and local villages and in fact Coral Bay. The villa was very good with most creature comforts catered for ie great showers, easy to use air con, no end of cooking implements. Beds were very comfy. Could get a little windy in the evening 'hence its name' however winds soon droppped. All in all a very well kept/ modern villa. Everything we would expect. The Villa is well constructed, spacious and cool in the sun, yet the heating warms the building very quickly on cool evenings. The views from the pool and main bedroom balcony are beautiful and uninterrupted. It was a perfect escape for us. Ideal and we shall return. Loved the views and the taverna down the road. Least liked: Jack crying on our way to the airport as didn't want to leave 'our house'. Thought he had a new family as had been grape picking with Christos and family! Most liked: There was nothing you hadn't thought of to put in your villa. The phone was inspired (even though we used our own). The sofas and beds were comfortable, the flyscreens were excellent and the pool was the cleanest one I have come across .... Jack loved the water pistols and the goggles. I loved the books. Hope you enjoy reading mine. The dishwasher works and the toilets flushed. Heaven. Basically, loved your house. Christos was charming. I'll email some photos so you can get them to him. All in all, fantastic. Thank you. We just wanted to thank you for a wonderful time on our stay at Zephyrus. The villa was prefect for us , it was just what we were looking for. The flowers, champagne and card were absolutely beautiful and very much appreciated, Thanks. Frosos and christos were a great help, not only were they both very good at their jobs but they also helped us with other problems as well. On the Monday after we arrived our baby was ill. We were trying to find the pharmacy and they gave us the directions and then the next day she was worse so he then gave us the directions to a paediatrician which was a great help. Then we were trying to arrange taxi's and a wedding car for the wedding day and they gave us their brothers Vasilios's number. He was really helpfully and did a great job. Also your father in law was extremely nice every few days he would bring us fresh farm eggs and bags of fresh oranges. We can really recommend the restaurant that we had our wedding meal in. was the Petradaki in kathikas and almost everyone said it was one of the best meals they had ever had. The couple that run it set my tables out beautifully they set out my table plans, favours for guests, balloons confetti along the middle of the table it was great. So professional. The black book was a great help anything and everything we needed was in it. I hope you don't mind but i added a business card for the baby equipment hire company. It was great thanks for finding them for us. it was an older english couple who moved out there 7 years a go. They were really nice, they delivered and collected the stuff form the villa with no problems. the baby walker was brand new they actually pulled it out of the box and assembled it in front of us. It was a massive help having that in the villa it made such a difference to our holiday. We went to some of the restaurants that people had recommended. I think it's really hard, people have such different ideas of whats a great meal. * Petradaki - one of the best restaurants i have ever ate in. Clean, beautiful decor, traditional but modern theme and the service,portion sizes, prices and quality were all extremly good. Our children got free ice cream each night. Lots of brits that have moved over eat there - some travelling quite far. You should book in peak season as it was really busy in May. *Arourous (in the centre of Kathikas) lots of parking, only do mezi - but very nice one, really traditional inside, traditional good atmosphere,really old and uncommercial, lot's of locals seem to eat there. Very good prices. * Imogens - not great but not bad. not very big seemed a bit pushed for space. meat tasted not very good quality. I ordered steak and it was like tesco value meat. Didn't really rate the staff but maybe they were having and off night as many others seemed to enjoy it. *Amarkous farmhouse - well this was an experience. walk in ordered drinks and asked for menus ( no boards or price menus around) the waitress said "no menus you eat what Mama Angelo cook" then she turned around and walked away. she didn't ask if that was ok or anything you just took what you got. the meal however was really nice, it was mezi style . it was a shame it was quite or i am sure the atmosphere would have been much better. The village the villa is in is so nice. One day my sister was out a walk and she met an english women called Carol who lived there. They night before the wedding she came and gave me a full body aroma massage for an hour and a half and Martin my husband got a 40 minute Indian head massage. Her prices were really good, we would both recommend her. Again i hope you don't mind but we left her card in the black book. The whole villa and all the accessories were great quality. We were so glad we paid the extra to get the pool heated. The first night we arrived at 3am and My dad and Martin both jumped straight in. Then on a couple of nights through out the holiday we were in at night, it was lovely. A few days before we left i was a bit worried that everyone's villas would be all right. I'm not sure if i told you but i only found your site by chance when i was looking for james villas. After we seen how reasonable you were compaired to them i told the other two groups that were going to the wedding about you. So a couple of days before i thought to myself " what if the villas aren't nice or if somethings wrong and it was me that found and recommened your company to some many people". Thankfully i had nothing to worry about the other two groups also loved their villas and everything was perfect for them as well. The wecolme packs were the best we have ever had and it is small things like a bottle of red wine to arrive to after a long journey that really made the differnce. We would defenetly recommend you to any friends or family. Hopefully we will book with you again soon. thanks again. Most liked: The position, the views, the pool and the peace and quiet. Thankyou for our second visit to villa Zephyrus. We all had a wonderfull holiday and as before we could not find fault with the villa or service we received. We hope to return to Cyprus and rent one of your villas again. Least liked: We cannot find fault with the villa. The pool was wonderful, the villa well equipped, spacious, and beautifully situated. We had some lovely meals in the local tavernas and were drawn towards Polis for its cafes (our family liked the internet cafe particularly), shops and less touristy atmosphere. We enjoyed the wine-tasting at Sterna Winery and the beaches on the north coast. Most liked: Villa was beautiful, well equipped and in a lovely quiet location away from the really commercial touristy areas. Pool and barbecue area were very well used and enjoyed. other comments: It was very useful having the folder of local information and maps, also the mobile phone. We particularly enjoyed visiting Pafos Bird Park and Lara Bay. ... "
"Pool heating" includes the house central heating. The price depends on the season. 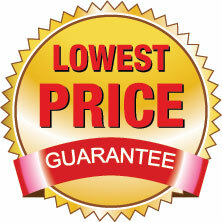 The full charge for your stay will be given to you when you request an online price quotation. Under normal conditions pool water will be maintained at 27 deg C. - minimum of 7 nights. Oil fired, house central heating and hot water (no pool heating). If you book the "pool heating" it will include the central heating. If you are a large group, celebrating a special occasion (wedding, anniversary, birthday), you may also be interested in booking these nearby villas within the resort of Akourdaleia in the PAPHOS-DISTRICT of Cyprus.